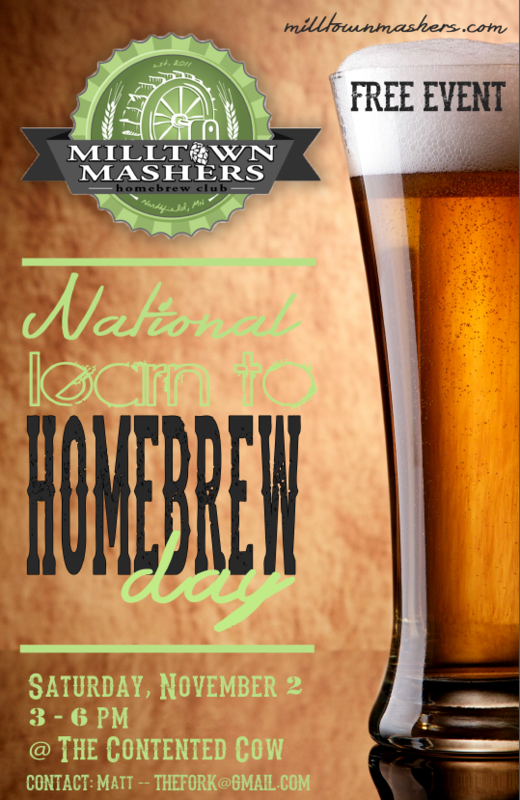 Homebrewing is easy and fun, which is why the Milltown Mashers are hosting a free and public Learn to Homebrew Day event on Saturday, November 2nd at The Contented Cow from 3-6pm. Come join homebrewers from the Northfield area brew a couple batches of beer and engage in a lively discussion about a hobby we all love. Organized by the the American Homebrewers Association (AHA), Learn to Homebrew Day is an international event held on the first Saturday of November. Since 1999, thousands of homebrewers have gathered each year to teach friends and family the basics of the homebrewing hobby. “If you’ve ever had an interest in homebrewing, Learn to Homebrew Day is the ideal way to get started. Brewing a batch with an expert is a great way to get started, which is why this event connects aspiring homebrewers with experienced ones for a hands-on education,” said Gary Glass, AHA director.